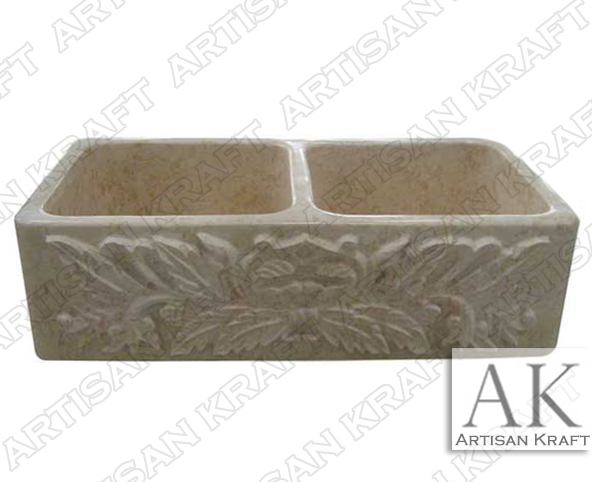 Farm house sink is hand carved from beige marble and has two sink basins. The leaf carving on the front of the sink can be changed to fit the style of the surrounding kitchen. Take a look at our other marble products including fireplaces and statues.